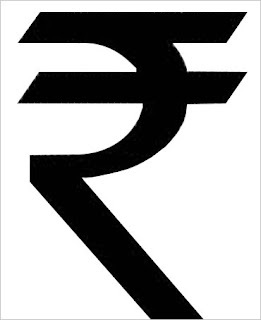 The Indian economy has been hit terribly in recent times and it still been reeling under the pressure of the fall of the rupee. Inflation in the imports and exports sector is high. There is 80% of import of oils and 800 tons of gold respectively. In cases like these the policy making at the Reserve Bank of India (RBI) would become a challenge. India even imports fertilizers, iron ore and medicine which now will be much more costly than before. As the value of the Rupee decreases; all imported articles and goods will become costlier than they already are. The fall in the rupee has also affected the Business’s at large as they need to change their strategies. The company will not be laying out the old workers but the pay checks will surely shrink. The company will not be able to spend on recruiting fresh talent and will have to try and harvest that from the present workers. Recruiting new talent has become harder so the companies have adopted new hiring techniques. Individuals from the companies would have to be really careful while changing their jobs as there is a slowdown in hiring. As the company will need to rationalize its cost they will either have to hire lesser people or the salaries of the present worker will be need to be kept constant or there might even be a reduction. This is a good time for companies and business that earn in dollars. The amount earned can he converted to a higher rate of Indian rupees. The government has decreased it number of imports in the country and there is a controlled entry of dollars in the Indian Market. If there is a recession in the global market there will surely be an negative impact for the companies and business that earn in dollars. The vacation sector business that offers international vacations is hit harder. The flight fares are going up due to the fuel charges and as the value of rupee will be less in foreign countries the food, stay and shopping too be expensive. The entertainment business would also fee a heavy loss as the consumers will not be ready to shell out a large amount of rupees. Electronics, books etc. will be expensive as most of them are imported from abroad. Electronic consumer good with imported components will also become expensive.